Mr. Musser has taught orchestra at Stillwater Area Public Schools since 2001 and has been an active leader with the district’s renowned music program. His orchestras continue to win numerous awards for their quality and musicianship. Prior to his work in Stillwater, he directed the orchestras at Sandburg Middle School in Anoka. Mr. Musser grew up in Des Moines and earned a B.A. in Cello Performance at Drake University, a B.A. in Music Education at the University of Minnesota, and an M.A. in Education at the University of St. Scholastica (Duluth). 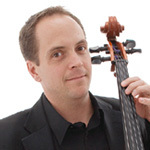 He also played in the Des Moines Symphony from 1988 – 1992. A resident of Stillwater with his wife and five children, Mr. Musser stays busy with his family and teaching. In his free time, he enjoys teaching private cello lessons and playing the guitar.